Will God Put More On You than You Can Handle? In a recent Facebook comment I was told by a friend (one who was only trying to encourage me) that “God will not put more on you than you can handle.” This was in reference to one more in a long list of “trials” we have had to endure, and in this case it was the issue with our van’s transmission failing. With these two well-meaning comments I was faced with a conundrum: Should I let them stand or challenge them? Like I said, I know they were well-meaning, but they must be evaluated in the light of Scripture. The time in the wilderness was a time of trial, of testing, of proving. The wandering Hebrews were never tempted by God to sin, but were very often tested to prove their trust in the One who brought them out of captivity. Would they trust Him to provide? Unfortunately, most of the time they did not trust God, but complained at every turn. They doubted God’s provision, even though time after time He miraculously provided for their needs (water, manna, clothes and shoes that never wore out, etc.). They “tempted,” or “tested” God – they wanted to put Him to the test to “prove” His faithfulness, as if He had not already done so! Even worse, they blamed God for their rebellion and idolatry! They would say that is was only because God had led them into the wilderness to die of hunger or thirst that they were forced to fornicate and create their own false gods. Therefore, when we get to 1 Corinthians 10:13, what we find is the reassurance, along with a warning, that God will certainly test, or prove us, and just like the children of Israel, there will be a “way of escape,” i.e., an option to put one’s faith in God/Christ to provide as opposed to turning to idols. So how does all the things my family and I have been going through relate to all of this? Has God put more on us than we can handle? Well, honestly, no…not unless we are unwilling to take the “way of escape” He has provided. If we choose to lose faith, question God’s goodness and provision… If we start to murmur and complain… If I start with all the “Why God? Whyyyy?? ?”… If I start trotting off after other “gods” to meet my immediate needs… then I choose to allow the “temptation” to be more than I’m able to bear by not accepting God’s provision. I’ll address the next point – “But the word says, you shall have what you say” – in the next post. It was 1989, I believe. It was back in the day when I worked in nuclear field services with Combustion Engineering, and then later with ABB. It was back in the day when I flew to different nuclear plants to work for weeks at a time, 12 hours a day, 7 days a week. It was a day when I could go up to any cockpit of any jet and ask to take a picture…and never get any grief. The engines were still spooling and my hand was on the throttles! It was a day long before 9/11. Were those glasses huge, or was my head smaller? 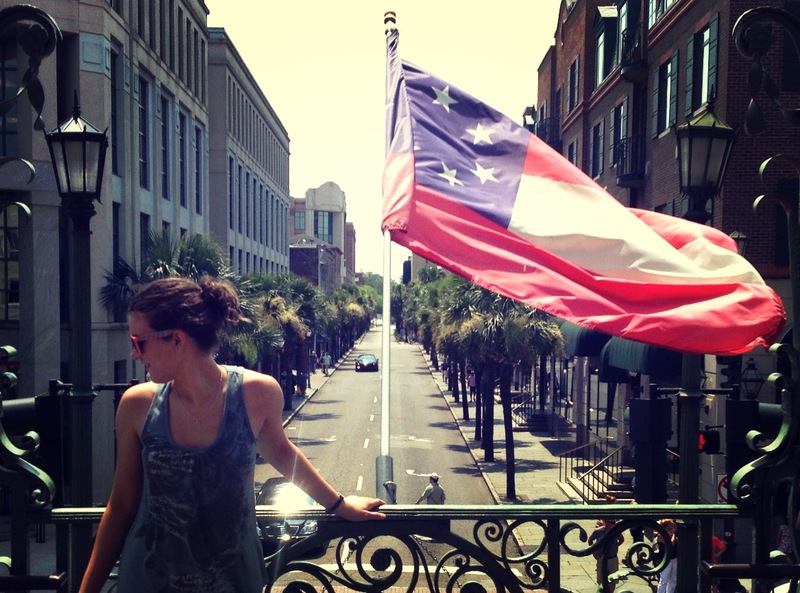 One thing is for sure, Charleston is full of history. The harbor is full of stories dating back long before the Civil War, even before the Revolution. Battery Point (White Point Garden) has beautiful, massive homes still in use that were built before this country was even a nation! Pictures don’t do this place justice. Then, of course, there are places like Fort Sumter (where the Civil War began), Patriots Point (home of the USS Yorktown), the Charleston City Market, the H. L. Hunley Museum (the world’s first successful combat submarine), and even The Confederate Museum. Speaking of the Confederacy, my youngest and I took a few minutes and toured the small Confederate Museum in Market Hall. Originally a place where business was conducted, in 1899 this building was turned into a museum by those who actually fought for Charleston during the Civil War, thereby making the museum historic in its own right. 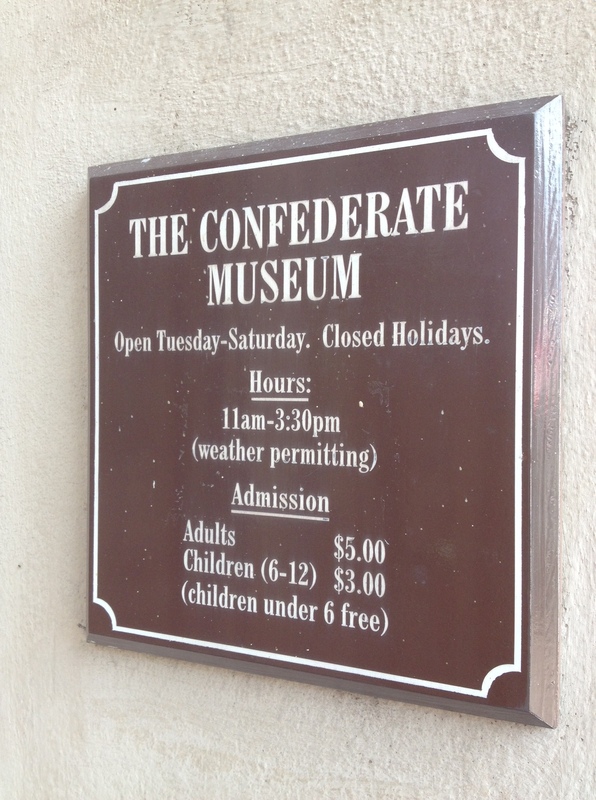 Some of you reading this may have felt uneasy going into the Confederate Museum, and that is unfortunate. So much has been done since the shooting at Emanuel A.M.E Church to sponge away any remnant or reminder of Confederate history, yet what happened back in the 1860’s is part of the fabric of our nation. Much honor is to be found in the stories of the brave young men who fought for their homeland. Back when there were no cell phones, television, or internet, the average young man’s world was a small one, limited to just a few miles in any direction from the very place he was born. All he would have known; all the people he would have known; everything pertinent to his universe would have been right there in his community, or, at most, his state. How could he be compelled to take up arms against his home? I stood there with my daughter and read aloud the full letter describing the history of the flag written by the one who raised it in victory, then lowered it in defeat. This young man didn’t sound like a slave owner, or a bigot, or a murderer. These were just the words of a patriotic young man who did what he was called to do when his home was threatened. I’m not ashamed of the South. What I am ashamed of are those who, for political expediency or “white guilt,” want to erase the heritage of a strong, dignified, loyal people without even setting foot on our soil. I am ashamed of those who forget that it was the soldiers who fought each other that came together after the war to heal their wounds and erect monuments to each other’s bravery. I am ashamed of Americans who choose make all Southerners out to be something we are not. The folks in the news media only want ratings; they don’t care about truth. Sure, there are bad people, bigoted people out there, but there are also good people – and a lot more of them than the other. There in the City Market I talked with a black lady about all that had been going on after the shooting at the church. It was at her church that the last of the funerals were to be held that afternoon. It was from her that I bought a New Testament written in the Gullah language (the language of the low country). We talked for a long time about the contrasts between people who chose to forgive and those who chose to burn down their cities. We talked about race, about how the media only wants to further divide us, and how that God loves us all. We talked about Jesus, about loving each other, and then hugged as we parted. Two strangers in a market…a market in a town that could have gone the way of Baltimore and Ferguson, but didn’t…because people chose to show forgiveness…because good people didn’t resort to painting everyone else with a broad brush. Honestly, I think a lot of it has to do with the fact that real Southerners are ones who’ve learned how to grow up, admit our mistakes, and move on. We don’t need the modern PC police trying to score political points by opening up old wounds. We can’t change what happened 150 years ago, but we can forgive…as Christ forgives us…and be better people than the history revisionist want us to be. Now that South Carolina has voted in the house and senate to remove the Confederate flag and “move it to a museum,” I hope they don’t forget to go visit it once in a while. Those who once flew that flag in war were the very same ones who came back together to heal this nation. I’m just glad my little girl got to see how history can become His-story before all the history is history. I first started blogging back in 2009. Since then I have written over 500 posts, but many have all but been forgotten – out of sight, out of mind. Therefore, I have gone back and picked several of my favorites from the first couple of years and listed them below. I hope you will have the time to look at a few, especially the ones specifically dealing with legalism (my pet subject). Yes, it is my birthday. Gifts of all denominations (that means money, not Methodists) will be accepted. You can also send watches, old books, Martin guitars, Jaguars, Mustangs, autographed pictures of Ronald Reagan and Zoey Deschanel, and/or iPads. Really, I am happy to be 46 years old, which is four years shy of half a century. Some people are older than me, but a lot are younger – many of which are stupid. Did I just say that? Yes, I did. It’s because I’m getting older and old people can say what they want. In all seriousness, today is a day which I have been fearing for the last 22 years. When I was 24 my father died (coincidentally, he was 24 when his dad died). He was 46 years old. Now, on this momentous day, I am as old as he was when he went home to be with the Lord. Sobering, isn’t it? 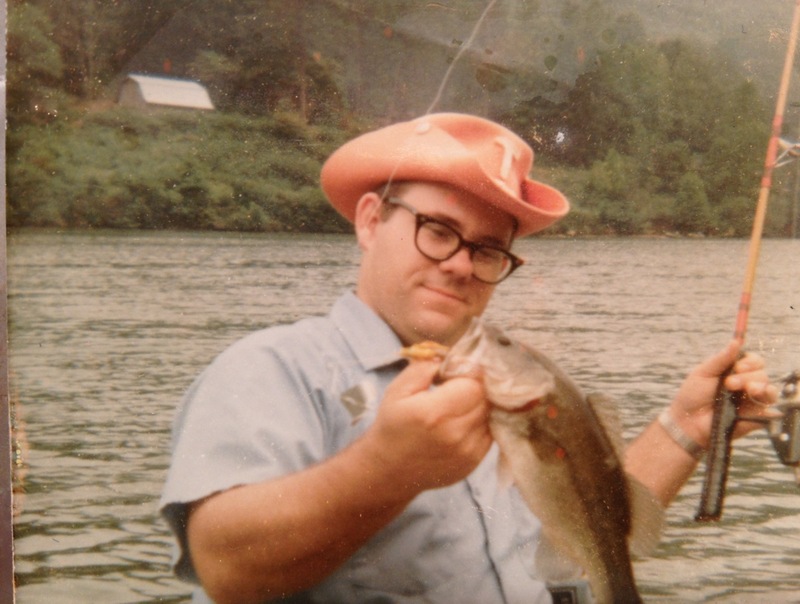 Even though it is sobering, if not a little depressing, the though of being as old as my dad was when he died has caused me to reflect on my life. It has also caused me to think more about my wife and children who, if they had been like me 22 years ago, would only have me around six months longer. If I die this year – and I hope I don’t, believe me! – at least my wife and kids will have insurance money, a collection of recordings of me preaching and singing, and a lot of written words. However, they won’t have ME. That is why I don’t drive as recklessly. That is why I am thinking more about my diet. That is why I am beginning to work out. That is why my journal entries are becoming more pensive, thankful, and less gripey. That is why I am trying to make sure I live the way I want to be remembered. More than ever, I want to finish well. 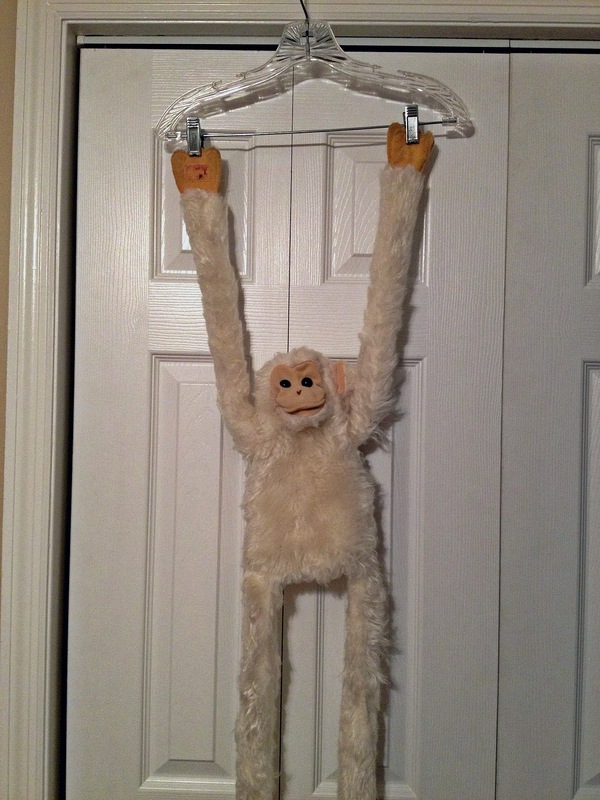 I was so worried, but Mr. Monkey came through the wash without falling apart. 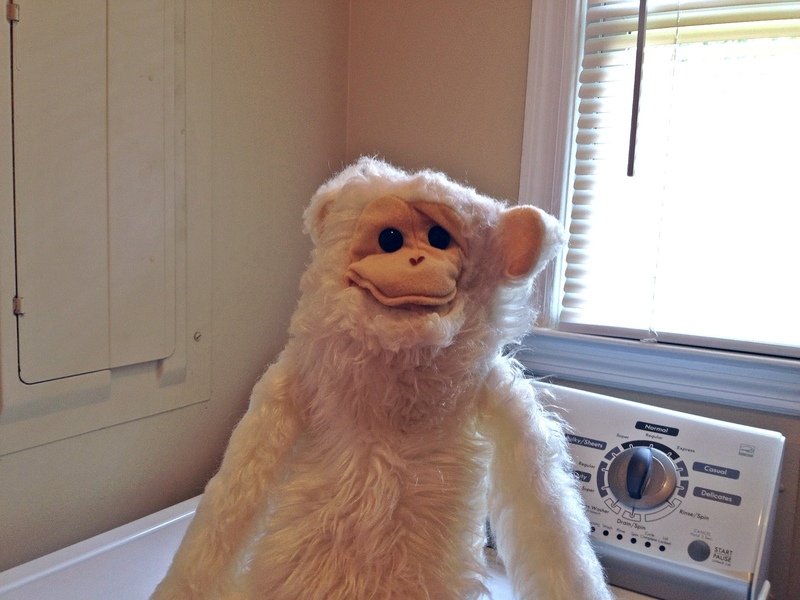 Washing a family heirloom is not something I do very often, especially 30 year-old puppets. You see, I took Mr. Monkey with us to the beach in South Carolina. There he experienced getting buffeted by the salty waves crashing onto the shore. Fortunately, he didn’t need sunscreen. The only problem is that Mr. Monkey came out of the wash fine, but ended up looking like he got a “perm” after only a few minutes in the dryer. He’s still a little damp, so he’s just hanging around, for now. Well, signing off again from the WordPress iPhone app. Have a great Thursday!